When we think about testosterone we often relate it to muscle mass, strength and masculine characteristics. We’ll probably also relate it to sexual appetite, performance and virility. But testosterone is also an important regulator of metabolic health too. Without it, the strength of your bones would start to decrease and your risk of fractures or bone-related illness would start to creep upward. In this article we’ll break down the relationship between your T levels and bone health, and give you some tips on how to keep your skeleton strong. As we age our skeleton starts to lose minerals and naturally gets weaker. Loss of bone strength and density can lead to a loss of independence, functional ability and both quality of life and life span. Osteoporosis is a medical condition in which there is a discrepancy between the rate at which old bone deteriorates and new bone cells are formed. As such, your bones lose their strength, become brittle and the chances of fractures increase – particularly in the hips, hands and spine. Although it is not as common in men than it is in women, there are still 1.1 million hip fractures reported in men worldwide each year . As many as 25 million US men may have osteoporosis . As bone is metabolic tissue, any interruption to your hormones can influence it. |For example there is a clear link between hypogonadism – clinically low T, and increased risk of osteoporosis. It is therefore important to optimize your T levels in order to reduce the risk factors associated with brittle bones. Key Point: Osteoporosis is a medical condition in which there is a discrepancy between the rate at which old bone deteriorates and new bone cells are formed. There are a number of factors that can increase the risk of poor bone health. These include lifestyle choices such as smoking, alcohol consumption and diet for example. Genetic factors such as race, ethnic origin and family history also elevate risk. 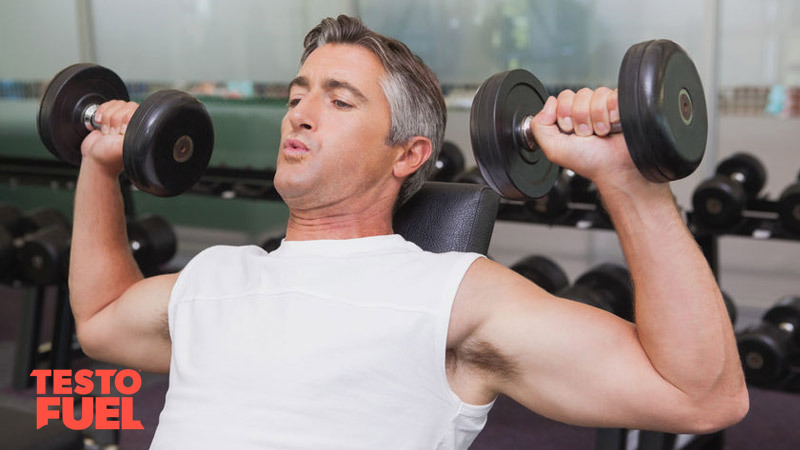 When your testosterone levels drop, bone health can suffer. The two are so closely linked that your doctor may even order a bone scan to see if you have low T, or vice versa. The dual mode of action between bone health and testosterone means that hypogonadal men will have accelerated bone loss, which in turn increases the risk of fractures. The importance of T on skeletal health lies in the fact that testosterone converts to estrogen in the male body via a process of aromatization . From there the estrogen is used to maintain bone integrity and strength – so if there’s not enough T, there won’t be enough estrogen. Key Point: Hypogonadism is directly linked to reduced bone health – the lower your T levels, the weaker your skeleton will be. What Can You Do To Protect Your Bones? There are a small number of things you can do to try to improve bone health. Many of these should fit into your lifestyle with minimal effort. Vitamin D3 (cholecalciferol) has been shown in clinical trials to improve testosterone, boost energy levels and strengthen the immune system. However, an estimated 1 billion people worldwide are estimated to be deficient in this nutrient. This vitamin is especially important in maintaining bone health. Primarily, it maintains calcium and phosphorous levels in bone tissue and deficiencies can lead to reduced calcium absorption. It is recommenced that you obtain 600 IU per day of this vitamin. A recent study published in the BMJ  reported that supplementing cholecalciferol reduced the number of fractures reported to British doctors over a 5-year period by 22%. As living, metabolic tissue, bone can be remodeled given the right stimulus. Weight-bearing exercise places just enough stress on the bones to force them to adapt and become stronger. At very worse, it slows down the loss of bone which is also beneficial. One study found that the enzymes responsible for bone remodeling rose by 26% after a 16-week strength training program in untrained, older men . It is increased strength by 45% which is important in reducing future fractures. 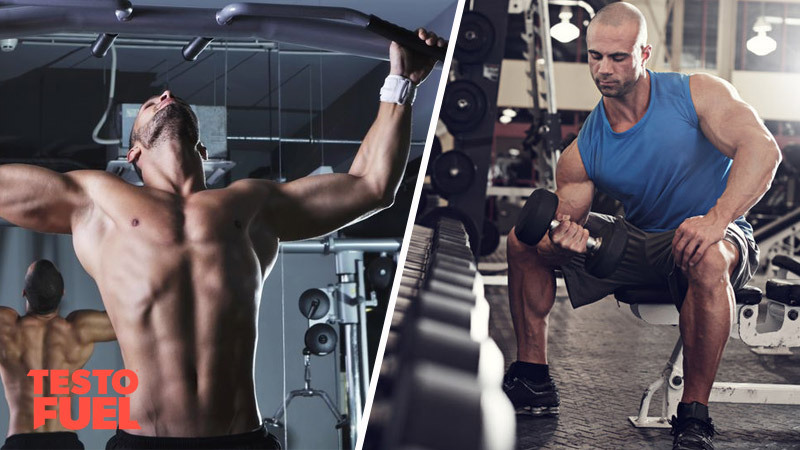 Not only does weight training help to boost bone health, it can also increase testosterone levels. A study by Andrada et al in 2007  found that a 4-week strength training circuit completed 3-days per week, increased T levels by 40%. Magnesium is important in preserving bone health as deficiencies in this mineral can slow down the growth of new bone cells. It also plays an important role in calcium metabolism. Around 60% of the total magnesium in the body is stored in bone tissue . Similar to vitamin D, magnesium not only boosts bone health, but is very closely linked to testosterone production. 400mg per day is the current recommended daily intake of this mineral. Studies have shown that supplementing this mineral over a 4-week period significantly elevates both total and free testosterone levels . Having muscle is not only good for your metabolic rate, it’s good for your health too. Being too thin can be bad for your bones as it accelerates the speed at which your body breaks bone cells down. Additionally, having muscle keeps you strong and adds padding to your frame. Calcium is an essential mineral that supports your skeleton by keeping your bones strong. Although it is the most abundant mineral in the body, practically every cell uses calcium. If you aren’t getting enough in your diet you’ll have to ‘borrow’ some from your bones to feed more important areas such as your muscles. You should aim to get your calcium from a range of foods – around 1200mg of this nutrient is enough. You can find it primarily in dairy foods such as milk and cheese which are also easily digestible. You’ll also find it in dark green vegetables such as kale and broccoli, beans and salmon. Many cereals are now also fortified with calcium. As we age our bones naturally get weaker – it’s part of the ageing process. As such as our bone health reduces. Osteoporosis for example is when new bone cells are not formed quick enough in comparison to cell loss, leading to brittle bone tissue that can easily fracture. This can drastically impact on quality of life. Testosterone levels are very closely related to bone health – if you have low T then there’s a strong chance your bones will become weaker. There are a number of lifestyle approaches you can take to help slow this process down, or possibly even reverse it. Having a healthy, vitamin and mineral-rich diet in combination with regular weight-bearing exercise will help. You may also wish to consider supplementing this with a natural T-booster which will further supplement your diet.